My first night of sleep in Korea was short after my A380 flight over. But after flying around the country on the second day, I slept like a baby… at least until 4 in the morning when I found myself awake and ready to go once again. That’s ok, it was one hour later than the night before, and I could still get a bunch of work done before the day began. My last day in Korea was action-packed. It was so busy that I’ve broken this up into two posts. After an early breakfast overlooking Seoul, we jumped into a cab and went back to Gimpo Airport. This time, we passed the terminals and pulled up in front of the mammoth Korean Air headquarters building. This place was big and well-protected. I checked in at the guard shack where I nervously left my passport before being allowed into the facility. We went upstairs and arrived at the communications team’s area just in time for morning stretches. That’s no joke. I guess every morning they have a morning stretch routine that’s blasted over the loudspeakers. Once that was done, it was time to take a tour of the building. Each floor looks out in the back on the big maintenance hangar where Korean handles the narrowbody fleet. Not a bad view. We went down into the hangar and toured around. I was surprised to see a private jet there, but apparently it’s one of three that they use for charters. (They also have a BBJ but it wasn’t around.) There were a couple of brand new helicopters in the hangar as well. Korean has a growing medical transport business that it does in partnership with hospitals. Two of these helicopters had just been delivered. That 737 parked in the hangar posed for this great shot with the taegeuks sitting on the wing. After stepping outside to enjoy the view, it was time to go back inside. I had a date with the duty free organization. I was particularly interested in duty free because it is just so big for Korean. The duty free magazine is about 300 pages and a new one is printed every month. According to the airline, it is the largest airline duty free operation in the world with more than $200 million in revenue each year. I had to learn more. But first, we had to switch buildings. Across from the headquarters is Korean’s hot kitchen. All hot meals are prepared there and then sent off to Incheon for assembly. (Not the most ideal setup.) The duty free team is based in this facility and it has quite the secure location. As we drove in, our car was inspected with mirrors underneath and there was a lot of discussion back and forth before they took my passport again (I had just been given it back when we left the headquarters). It was pretty fascinating discussing duty free, especially since it seems like more of an afterthought in the US. For Koreans, however, it’s huge. Chinese and Japanese people account for a fair number of purchases as well, but that has declined in the last few years. Apparently, there is very little sold on flights out of Korea, but on the return, Koreans all buy things to bring to the family. Want to guess the big seller? Of course, it’s alcohol, but the biggest seller is Ballantine’s Scotch. Cosmetics sell well too, but perfume is in decline. Most of the buyers are 35 to 45 year old men and nearly all the purchases are made through the magazine onboard, though you can actually pre-purchased online as well. The A380 provides another option, with the onboard duty free store at the back of the lower deck. Because of that and I assume the routes it flies, the A380 sales are “a bit” higher. I was amazed to find out that every single item for sale in the catalog is stocked onboard each flight. (Narrowbody aircraft have an abridged version.) That’s a lot of merchandise to carry. It also means that they have to be very selective about what they pick to go onboard. Dozens of pitches come in every month and very few are picked to go into the catalog. New items are given 3 months to work or they go away. It was fascinating that so many people actually bought things via duty free, so naturally I was curious about pricing. Is it cheaper? Nope, it’s not. Interestingly, the manufacturers decide the price and they keep it at somewhat of a premium. You would think that the lack of taxes would make up for it, but I was told that’s not always the case. You can often find it cheaper online. So why do Koreans keep buying from the airline? Once we were done with that conversation, it was time to head to Incheon. I had a date with the catering facility out there. The building sits right near the runways with a great view of departing aircraft. It looks huge, but apparently it’s not big enough because further expansion is being discussed. As mentioned Korean does its hot meal preparation at Gimpo and then trucks it over to this facility. (Then for Gimpo flights, it gets trucked back, bizarrely.) At Incheon, meals are assembled, bread is baked, desserts are made, and they push them all out on to trucks for departing aircraft. This sounds complex enough for one airline, but Korean caters more than 50 airlines from this facility. Some, like Malaysian, have very strict rules about Halal preparation so Korean went to great lengths to have a fully-certified Halal kitchen for them and Middle Eastern carriers. Just to go into the facility, I had to suit up. The stark contrast between automation and manual labor is easily noticeable. While the preparation side is buzzing with workers hand-assembling meals, the intake side is a different story. When trucks dump off carts with used dishes and silverware, they are whisked through several stages to pull everything out, get sorted, and then get cleaned. It was quite the operation. I wish I could take pictures, but I wasn’t allowed to in that area, probably because so many meals were being prepared for other airlines and Korean Air didn’t have permission. But it’s one thing to just look at everything in action and it’s a whole different thing to get to taste the results. I was flying in business class, but especially since I had visited Je-dong farm where much of the First Class food comes from, the airline wanted me to be able to try those meals. So I went upstairs where they brought me into a tasting room with a sweeping view. This room is usually used for customer (or potential customer) meetings, but that day it was all mine. They brought out several meals, but my favorite was the Je-dong Farmhouse Chicken Thigh with Port Wine Sauce and Tangerine Reduction (above). That one had everything from the farm including chicken, peppers, and cherry tomatoes. I also really liked the Korean style Ginseng Chicken Soup (below) which I’d say can best be classified as Asian matzo ball soup. When we finished up there, it was off to our last stop before the airport, the Inha International Medical Center. Wait, what the heck was I doing at a medical center? This one is, as you would expect, owned by the same company that owns Korean Air. I realize this isn’t aviation-related, so I won’t spend a ton of time on it, but the idea here is that travelers can come into Korea, get a variety of medical treatments and tests at a low cost, and be on their way. They do dentistry, dermatology, Oriental medicine, and general wellness checks among other things. Oh, and plastic surgery is coming soon. This actually was pretty interesting to see. Apparently most people come from Russia and China and aren’t specifically coming for medical care. They just stopover on their way into Seoul or while traveling beyond. When you get there, you are assigned a physician assistant who speaks your language fluently and stays with you throughout the process. If I had more time, they told me they would have given me a full wellness check. But time was up, and I was off to the airport. The last chapter in this report covering the impressive Incheon Airport and my flight home will follow next week. Read Part 1 about my flight to Korea and Part 2 about my visit to the farm and the maintenance base. That’s the kind of duty free that we need to do in the US. $200 million is huge, and our airlines are bigger. Also, why the trucking of meals from Gimpo to ICN? Maybe legacy facilities or just easier to have kitchens near headquarters? The problem is one of density. Can oyu imagine having to have the sort of distribution operation to have everything well stocked in every major airport and on every flight on a domestic operation? It’d be insane. Sanjeev – Yes, legacy facilities. That was the catering facility for Gimpo when all ops were there. They built a new facility at Incheon but kept the existing one going as the hot kitchen. Actually, this makes a lot of sense. There aren’t that many direct flights from Jeju to Incheon; I think KAL and Asiana both have one or two daily at most. Almost all flights that go to Seoul from Jeju go directly to Gimpo. I suppose they probably ship the food up to Gimpo and found that by cooking everything at GMP, then there is less food they have to truck over to ICN. If everything in a 300 page catalog is on a widebody airplane, that is a lot of space being taken up and fuel to fly it around so it must bring in the bucks to make it worth while. Americans will just go to Walgreens, the Dollar Store or Walmart to purchase stuff so buying duty free at high prices is not something that really works here I would think. This is largely due to the fact that the US has no VAT or duties, and state sales tax is not that much. The only products that can be purchased at a meaningful discount via duty free are tobacco products which are heavily taxed. The only area that duty free makes sense for Americans, or at least those that live in areas that have very high sin taxes on tobacco products. Every time I leave the country I have a shopping list. A carton of duty free Marlboros is about 4 or 5 dollars. In Chicago Illinois they are $12.50 a pack. Really liking the “please wake me” and “do not disturb” cards. Great job summarizing your visit to such a large operation. I was explained by Korean passengers that the main attraction of buying at the duty free is the guarantee the product is genuine and fresh. Items such as perfumes loose potency as time pass by. A big selling point as well is the fact that flight attendants will find answers to any questions and are not pushy about selling. I was surprised to read that Korean did not make Skytrax latest top ten world airlines survey. Any thoughts? My guess is price is keeping them in the high end of Economy fares. I used to live in Japan, and would often go to Korea on business and sometimes, just for shopping. At Incheon airport, Chivas Regal was pre-packed in a case holding 3 off one (1 litre) bottles, just for the Japanese market. The Gimpo Incheon Gimpo turn around can’t be that horrible, since at least this way you can utilize your truck capacity both ways, instead of deadheading it all around. That being said, I’m amazed that Korean hauls so much merchandize around, I’m sure it pays its way, but wow. On one end you’ve got Emirates getting rid of the inflight magazine to save weight, and Korean flying around product to sell onboard.. The airline business is weird. Nick – Well, sort of. I mean, there are a lot more meals that need to go to Incheon than need to come back to Gimpo. But yeah, the trucks aren’t going completely empty. Great series on KE! One of my favorite trips was a FAM on Korean to Vietnam. 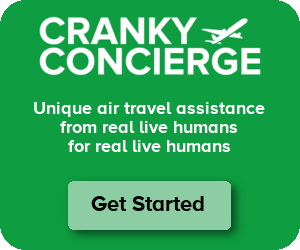 They are one of the last airlines to really reach out to travel agents in the US. When I worked for American in the early 90’s duty free sales depended on the destination. The Stockholm flight’s duty free alcohol was double stocked. The inbound flights from Stockholm also drank the liquor carts dry. For myself the only duty free I gave into was when United had a boxed set of the original five Star Alliance airlines by Herpa. Great work! From what I understand about Korean culture, it’s very important to bring gifts back from a trip, for your family, your coworkers, office staff, etc. But unlike gift-giving in the US, where it’s appropriate for a gift to bear some sort of relationship to the place visited, in Korea, it’s not necessary to get something “from” the place you visited, just so long as you get something. I found this out the hard when I went on a business trip from Seoul to Jakarta, and I bought all this special Indonesian candy for my Korean coworkers. I was politely told that they’d rather just have the candy they already know they like. I’ve enjoyed your KE series, very interesting trip. The medical clinic mention is fascinating. Nice to know there’s a good facility at ICN. I’m going to SEL in December, if I’m not feeling well I now know where to go. Medical tourism is really getting big, particularly in Thailand and India. I guess KE wants a piece of that pie. Thanks again for such an interesting set of reports. I just flew Korean from Male, Maldives to Colombo, Sri Lanka. When I saw the huge duty free magazine, I thought of your article. Wasn’t tempted, but was amazed to get a meal on a one hour flight in coach.